UK Sleepers has supplied many residential and commercial clients throughout the UK with the very highest quality timber cladding, adding an exceptional finish to their home, garden or development, whilst improving energy efficiency and performance. As leading cladding suppliers, we have a comprehensive range of options available, so whether you’re looking to add beauty to an outbuilding, improve efficiency in your summer house or wish to create a workshop that’s environmentally friendly, we’d be glad to help. 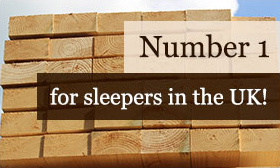 Trusted cladding suppliers: Why choose UK Sleepers? We’ve supplied quality timber cladding to many designers, contractors and homeowners and we’re best placed to offer a variety of species in differing profiles, to suit all cladding projects. For example, milling our own boards gives us complete control over the quality of our final product, allowing us to custom cut your boards to a specific length, making your job a little easier. There are many cladding suppliers spread across the UK but if you’re looking for the highest quality featheredge cladding, profiled cladding or waney edge boards, UK Sleepers will deliver timber that’s packed with personality. 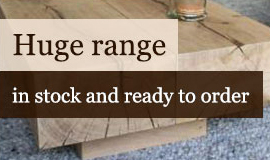 Some of our most popular options include character grade oak, Siberian larch, English larch and Black painted whitewood, whilst we also stock a range of trim boards, cladding screws, treatments and tools – so we have everything you need to get started. The timber we supply also has high insulation properties, whilst it’s 100 percent recyclable, making it one of the most environmental friendly materials you can use for your landscaping or building projects. You can also enjoy excellent sound absorption properties, so if you’re looking for a little peace and quiet in your pod, summer house or barn, our cladding options will meet your needs, delivering excellent performance at a fantastic price. Though our journey began by selling railway sleepers beneath the tracks of the UK, we’ve grown to become leading cladding suppliers. So if you’re unsure on the boards that re right for your project, our friendly team will be more than happy to help. 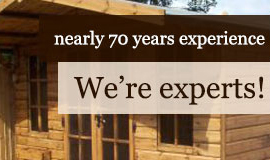 We’ve been supplying timber since 1947 and operate from three sites in the Midlands, making us ideally situated to provide fast and dependable deliveries (throughout the whole of the UK and Europe). We also have a large fleet of vehicles, and each is fitted with a crane for simple offloading, and these have a reach of approximately 5 metres so your cladding can be placed on your driveway or in your front garden. To speak to UK Sleepers about your project, or to learn more about our range of cladding options, please call our friendly team today on 01536 267 107. Alternatively, you can send us a message and a member of our team will be back in touch as soon as possible.